The aim of the Communication Advisor role is to capture the various success stories the project has fostered. By using your creative writing skills, you will conduct informal interviews with project partners and beneficiaries to draft various written articles, to be shared with potential donors and local media outlets. Moreover, you will be asked to apply your communications skills by developing a marketing strategy to support the sustainability of your inputs. This will entail a scan of local media outlets including radio, newspaper, and social media to communicate project work to a wider audience. By working with other international and national volunteers, there will also be opportunities to collaborate and contribute to workshop content and various site visits. Strong in expressing creativity in all different communication channels and ability to quickly switch between them. 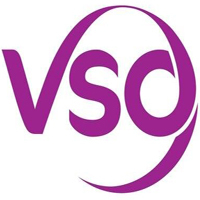 At VSO we believe progress is only possible by working together.